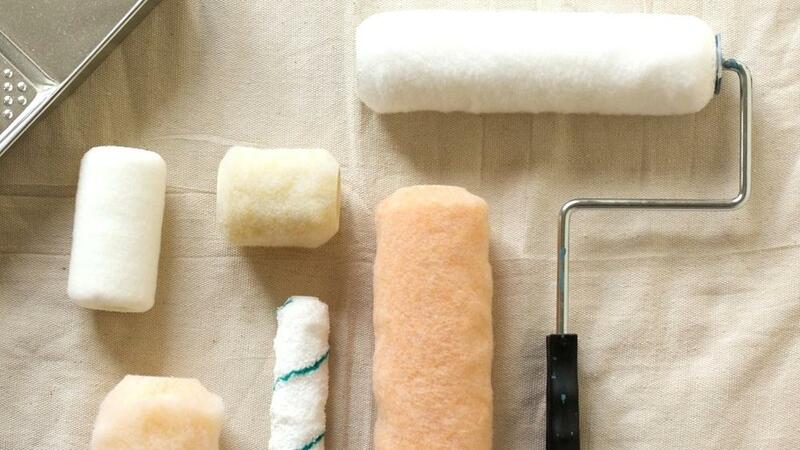 Should you use different types of rollers for different types of paint? Yes, the roller type matters to get the perfect finish! Have you painted something and didn’t get a smooth finish, then wondered why? It likely was the paint roller! Did you know that there are different types of roller covers? The roller cover you chose can help you not only get a better finish, but also apply the paint more evenly and efficiently. 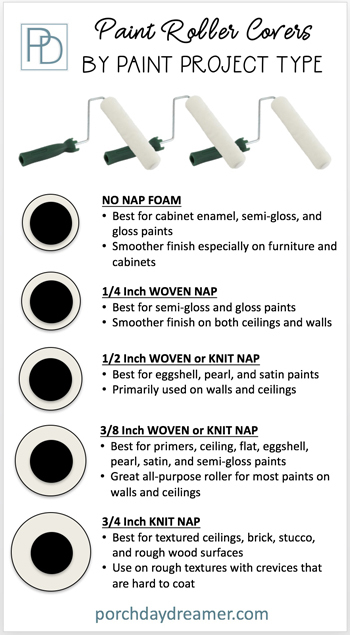 Here is your guide to what paint roller cover to use by project! 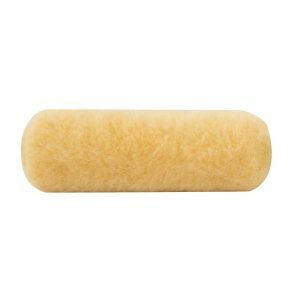 Paint roller covers can be made of several different types of materials. Rollers are either foam, knit or woven. They also have different nap lengths. What is nap or pile length? Nap or pile length is how long the fibers are that are picking up and applying the paint. Easy! 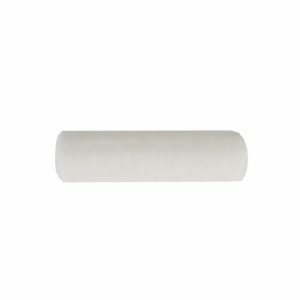 Basic roller options go from zero nap all the way up to over 1 inch of nap, but it’s very rare you will ever need that high or thick of a nap. Honestly, unless you are professional painter and painting materials other than a latex or oil paint, you don’t really need to worry about the material. You need to worry about the pile or nap, which we will go through in detail. Note: this guide is only addressing roller covers for paint, but not stain. As a disclaimer, I am not a professional painter but did work for a paint company for 5 years and went through roller and brush training with Wooster. First let’s talk about woven versus knit roller covers. When shopping, you may see this in the product description, so I want to make sure you understand the fabrics. 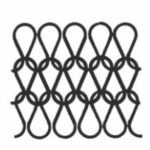 Knit fabrics are created using a series of loops making it more of an open fabric. As an example, T-Shirts and socks are typically knit. A knit fabric has more areas to pick up and release the paint. In theory, you can apply more paint faster with a knit fabric paint roller. 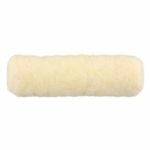 Rollers that are made from a knit fabric are recommended for flat, eggshell, or satin paints, but not for a higher sheen paint. Woven fabrics are created using 90 degree angles and a create tighter cross-section of fibers. As an example, the fabric on your upholstered furniture or your jeans are woven. 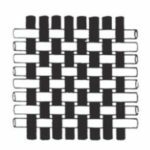 Woven roller covers will shed less, reduce lint, and give a smoother finish. Glossier sheens are best applied with a woven cover. Selecting a roller cover made with a woven fabric means you can use it with more paint types: Enamels, primers, and all paint sheens flat, eggshell, satin, semi-gloss, and gloss. Please read my Paint Sheen Guide, if you want more information on paint finishes. Alright, you’ve probably learned more than you wanted to at this point! I’ll get to what you really want to know. The types of covers we will review are the most common, but this is not the entire universe of options! Each roller name can be clicked on to purchase, if you find the right one for your project! Remember all projects will require more than one coat, so stock up on rollers. 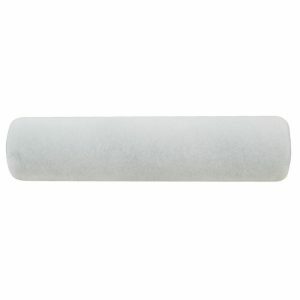 This is the ONLY roller I use when priming and painting furniture or cabinets. My paint contractor used it to paint semi-gloss on drywall for a smoother finish. This is my go to everyday roller that I keep stocked in my home. 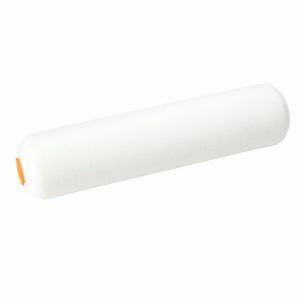 All of my walls have been painted using this type of roller. After reading this guide, I hope you feel more comfortable and confident in your ability to pick the right paint roller cover applicator. The variety and different brands make it a hard product to navigate, so I hope I have simplified it for you. Definitely, pin this for later so you can refer to it during your next painting project! 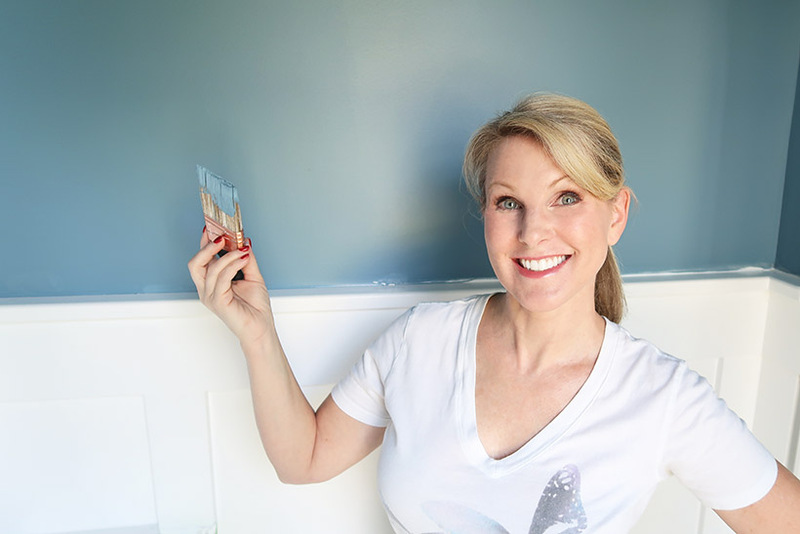 Want to learn more about the right way to paint or about paint makeovers I’ve completed in my home? 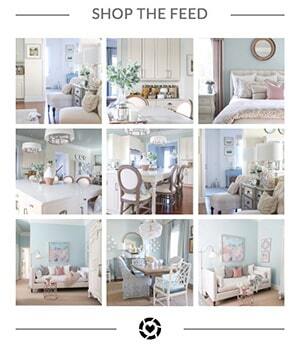 Click here for your full paint project resource guide at Porch Daydreamer. Happy painting! 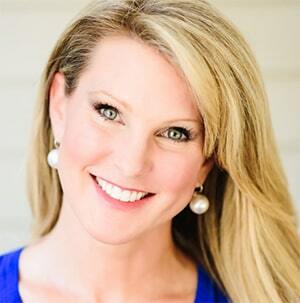 Please consider signing up for my weekly email newsletter so you never miss a post, tip or trick! New content every week.